Breakfast is the most important meal of the day. 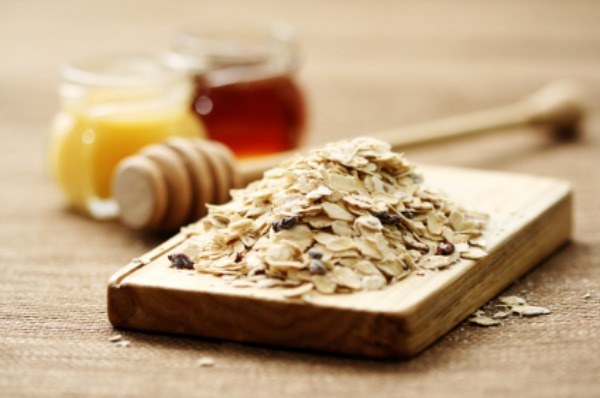 Today, we’d like to share a few interesting spins on a breakfast favorite- oatmeal! Shiloh Farms Steel Cut Oats have a hearty, chewy texture that make them a great and filling food to kick-start your day. They can take a bit long to cook first thing in the morning, so we have a few tips on reducing the cook time for this delicious hot cereal. Sleep Tight – Soak the steel cut oats overnight. Before going to bed, boil four cups of water in a pot, turn off the heat and add one cup of steel cut oats. Cover the pot and leave to sit overnight. In the morning, reheat the oats over a low heat for 9-12 minutes. Pre-Toast – Place the steel cut oats in a preheated 300°F oven for approximately 20 minutes. Let cool and place the oats in a tightly covered container and store in a cool place. When you are ready to prepare you meal, the toasted oats will cook in half the time. Cut Corners – Place the oats, natural or pre-toasted in a food processor. A few turns of the metal blade will break up the grains and reduce the cooking time by at least 5 minutes. Be Prepared – One trick is to prepare five days’ worth of steel cut oats in advance. This can be stored in an airtight container in your refrigerator and used as needed. To reheat, just add a small amount of liquid to the cooked oats in a pan, cover and set the heat to low for about 5 minutes. Add 2 tablespoons of chopped Shiloh Farms Organic American Native Pecans, 1 tablespoon molasses and ½ of a banana, sliced. Add ½ cup chopped mango, 2 tablespoons Shiloh Farms Organic Shredded Coconut, 1 tablespoon Shiloh Farms Organic Date Sugar, and 2 tablespoons chopped Shiloh Farms Organic Cashews. Add ½ cup chopped pineapple, 1 tablespoon chopped fresh mint leaves, and 1 teaspoon cinnamon sugar. ← Happy National Pretzel Day!